The end is near. CIB NTSC N64 set with your help! So the end is near. I started this journey Feb 12th 2013 and I am still poking at it. Some of the members on this group know that I have been living in Italy the past few years, but before moving here I lived in Michigan for the bulk of my life and then followed that up with three years in Nebraska. During that time frame I was a local game shopper, commonly visited places for me were game stores, good wills, thrift stores and flea markets. The normal spots most game collectors head to on a average day of game hunting. Well during the first year here in Italy, I only bought newer games on the Military base I work on and games from the local American community that also works on the base. It kinda worked for a while but it did not satisfy my needs for the hunt. Well a year passes, I knew that I was going to be heading back to Michigan to visit family and I even made a trip to Nebraska to visit a friend as well. During that time frame I stopped by a local game store I use to go to so I could pick up some games and bs with my buddy Mike who ran the store. He was telling me of a huge score he got over the summer and how excited he was. He was at a thrift shop and asked if they had any games. 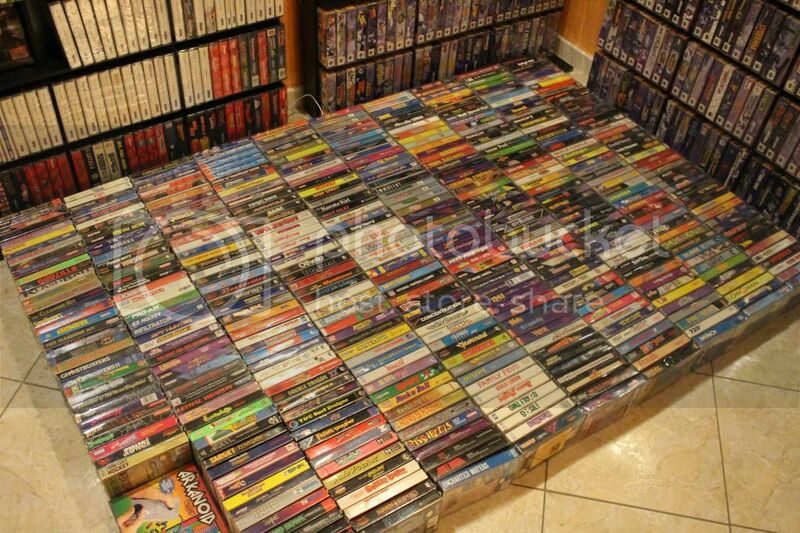 Well it turns out they just got over 1000 CIB snes games and they were sitting in the back. He then offered them $2000 dollars for the lot and they took it. I was super excited but then as the story went on he was explaining that he already made over $18,000 dollars profit on it but there was hardly anything left. My excitement kinda went away knowing most of it was gone but I still asked him to bring in what he had left. I assumed what would be left was all sports titles but I was actually wrong. This is what he still had available and was still posted on Amazon at the time. I up until this point never made a purchase online in regards to video games and I honestly did not know a solid price to offer. I desperately lacked knowledge in complete in box collecting and I hardly knew anything of many of the titles here. I then shot him a $300 dollar offer for the lot to see what he would say. It really took him a minute to honestly agree to it and I understood because despite not really knowing much I did feel like it was kinda a low offer but I did not have much spending money since it was the very back in of the trip I was on and I spent most of the money I put aside for the game hunt. Well that same day I had to catch my flight back to Italy and did not have much time left before the post office closed and I knew if he sold it I needed to get it to the post office asap to mail this out. Eventually he agreed to the $300 dollars I offered him and we then peeled the price stickers he had on the plastic bags around them at the time so he knew what games to take off amazon. When we started peeling the stickers I soon realized that it was adding up quick. It could of easily been at least $800 dollars worth of inventory he had on amazon that he just hooked me up with. Well fast forward to early Feb 2013 and this ties back into not being satisfied with the lacking of game hunting locally in Italy. I finally broke down and made my first gaming purchases online. My stubborn self went 11 years of game collecting without doing so up until this point. I even wrote a blog on this site about being on edge and whether i should do it or not. But what was my first gaming purchase online? It was NBA JAM 99 for the N64 CIB for a whopping $2 dollars with free shipping. I was not complaining, but why that game? No real reason other then knowing that the journey to a Complete N64 set was on my mind for the past year in a half prior to that point. But I was not sure if I was ever going to pursue that journey and if I did I defiantly did not know that it was going to be the CIB journey. It was the huge super Nintendo lot that I got from my friend that made me realize that I wanted to not only pursue the N64 set as I have wanted to but to also work towards getting the complete collection with boxes. Fast forward to today and I am nearing the completion of what I set out for. This is what I have amassed so far when it comes to Nintendo 64. As of this time I am down to the last 9 games I need to complete the set. 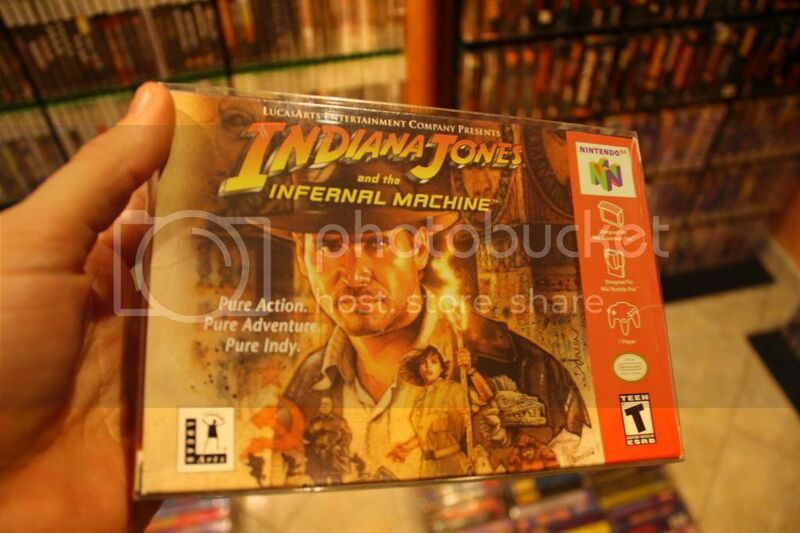 However it is not a easy task, I have been waiting patiently for the games to show up for sale in near mint or great condition which is not as easy it sounds. Just to give a example I have only added three games to the collection since July 9th with the purchase of Bomberman 2nd attack. And finally the most recent CIB game I received. I actually had this game in my possessing for a whole whopping two hours and then as I left work with my box of games I condensed to one box I managed to forget the box on top of my car and drove off. I was about 10 minutes away when I noticed I did not have the box and I drove back quick but the box was no where in site. A few days go by and still not luck. 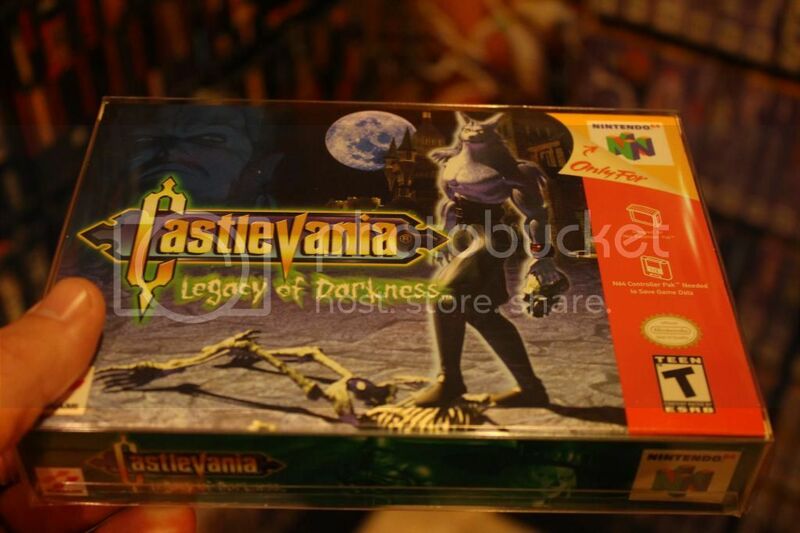 I lost one of my pricier N64 purchases and one of the games I spent the past year in a half waiting on quality wise. A week later however the girl i know at the post office on base calls me up and informs me that a individual found the box and dropped it off at the post office. I was so relieved and stoked and I am happy to have this game currently sitting on my shelf and in my possessing. So this is where you come in, maybe I should of posted this list at the top but if you are still reading and with me thanks for hanging in there. 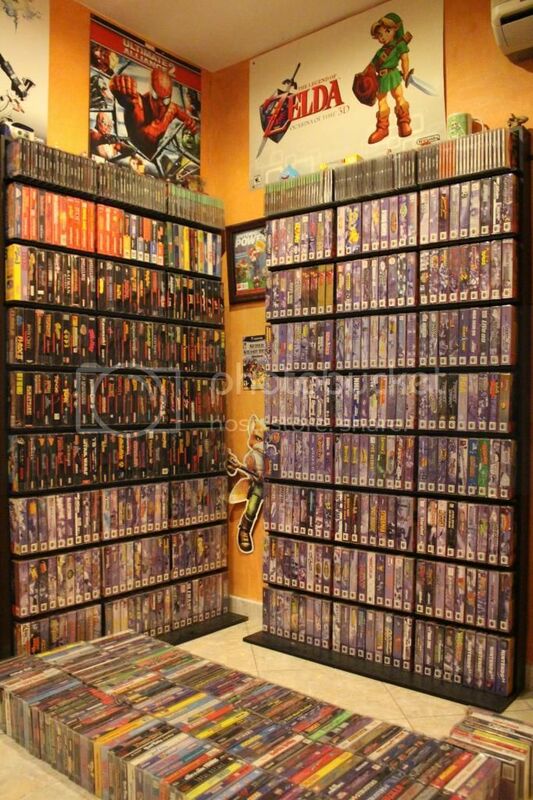 I am currently on the hunt for the following 9 CIB games. Condition is a big factor to me but please message me with what you have and if you can help me in my journey to completing my first ever collection of any console. So I have been a part of Rfgeneration since mid 2011 and I am still looking for the small scores thread. Is there a thread named small scores? Or do people just make a new post in the forums every single time they make a find? Well Aside from the small scores thread that I hope to find one day. 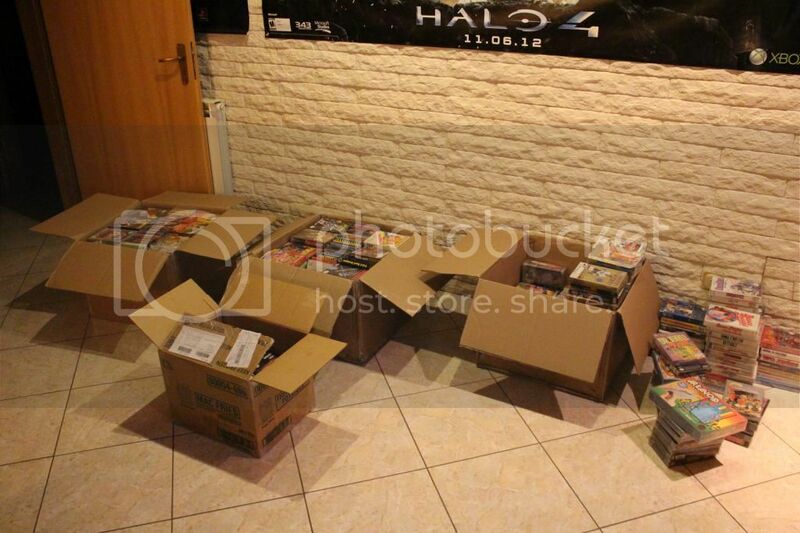 I managed to come across my biggest gaming haul yet. Surprisingly I did not have to resort to ebay for this haul. I managed to find it on a gaming facebook page. 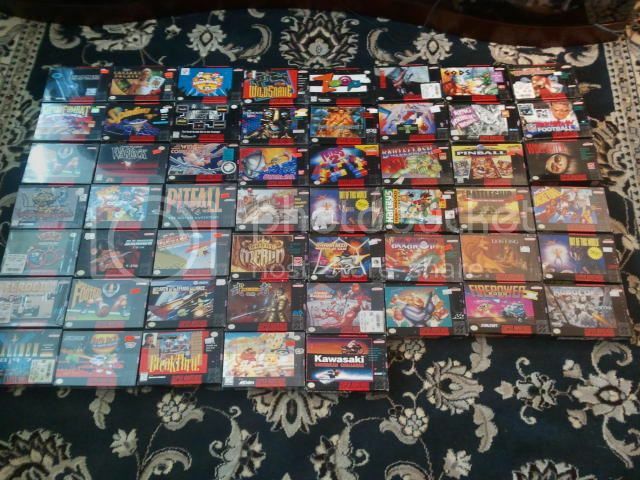 The seller mentioned there was 456 in total but I believe it is just over 460. The collection as a whole is more common titles and is missing a lot of big name titles and Rare titles, however it does have a lot of excellent games and I am really excited that it is now apart of my collection. I am slowly adding the games to my Rfgeneration collection over the next week or so. But enough about my obvious excitement over this. What is the biggest gaming haul you have made? It does not necessarily have to be big in quantity per say. 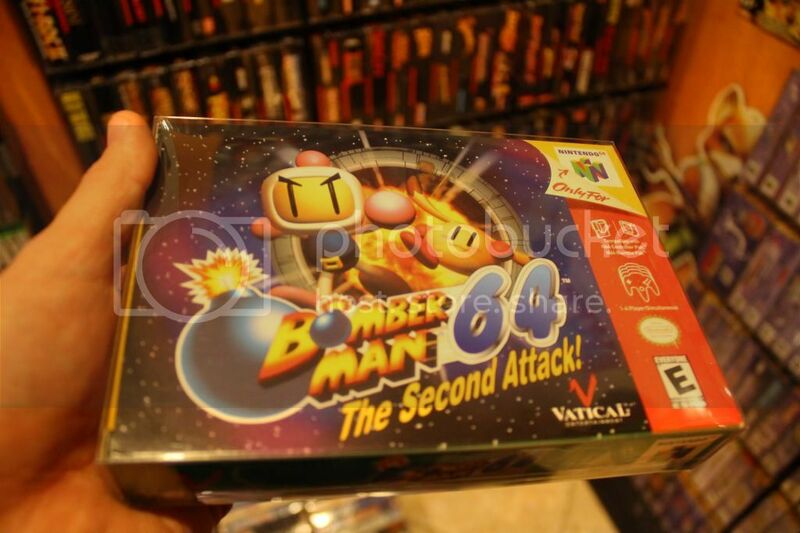 It could be a score off all the Mega mans complete in box, or maybe you found a loose stadium events in the wild. What is your prize possession and why? The great video game crash of NOW!!! I love collecting as much as everyone on this site, but a trend is happening that is scary. As each new generation of gamer's is born a previous generation of games are forgotten. I was born in 1987 and I owned a Atari and a Nintendo when I was a kid but I am most familur with the Super Nintendo til what is out currently. When I collect I really enjoy picking up new titles for snes and N64 and what not. I do still pick up games for my atari and Nintendo but it is never a top priority. I have been using the price chart http://videogames.pricecharting.com to keep track of value on games and stuff and I have noticed a trend of Atari games being pretty much worthless now Nintendo games slowly dropping and super Nintendo is on top right now. I feel as each new generation of collectors come out there main priority is going to be there childhood, whether it was PS1 or PS2, each of the previous consoles will slowly fall in value and there will be the other breed of collectors that will be able to pick from the rubble. Super Nintendo games are at a all time high right now as far as I know and it completely makes sense, all of the generation from late 80's early 90's that really grew up on that system are old enough to have jobs and have the cash flow to do so. Give it another 10 years alot of those gamers will be moving on due to marriage or trying to buy a house or whatever the case, the generation that played those games will slowly move on and the next generation wont care as much because it was not there child hood. How do you guys feel on this Topic? Am I dead wrong or am I on to something.